sebutir MUTIARA putih yang terus bersinar. : Julie & Julia. to all who loves to cook and eat. have ever heard about 'julie and julia'? well, i watched a movie titled 'Julie & Julia'. at first i thought it was about twin sister or something to do with people and duplicating and whatsoever. but then i was wrong. the movie was about FOOD. delightful enough to heard about FOOD? yes to me for now. i couldn't remember since when i started to love the venture of cooking but then i just realize that i LOVE it! eventhough i know very less how to cook; except for the basics - fried eggs, cooked rice, boiled water, beat butter and etc. my mother, shall i say, is a very awesome and great cooker of all time in my life. so, basically i learned all the basics of cooking from her. and what else than the malay cook food for a malay family? so i just know more recipes of the malay cooking rather than the other recipes. well, i have just discovered that sooner or later, i have to learn to cook other than the malay recipes. a few days back when i was having my hari raya break, i learned to cook 2 new non-malay food - a simple cheese cake and spaghetti. well yeah i know that spaghetti is lame, yes, but i couldn't resist to still have my first try of cooking it. it was simple and cooking is simple actually. you just have to put in this and that and this again and that a little bit and stir and boil and smell and tadaa! agree? ok enough of all the about me learning cooking. what most important now is that; i would love to learn french cook. 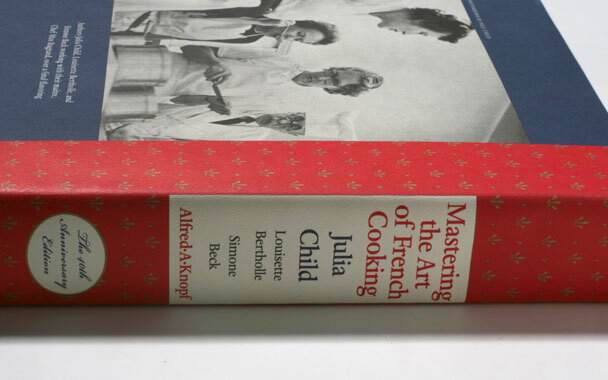 so, i am now on my way of looking and searching for the cheapest book of 'MASTERING THE ART OF FRENCH COOKING' by JULIA CHILD. so, to those who can offer one to me, would be much much much appreciated!